Deborah Jackson received a science degree from the University of Ottawa in 1986, graduated from the Winghill Writing School in Ottawa in 2001, and is the author of several science fiction and historical fiction novels. 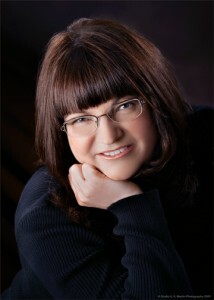 Deborah is a member of the Society of Children’s Book Writers and Illustrators as well as SF Canada. Her novels include: Ice Tomb and Sinkhole, adult science fiction thrillers, the Time Meddlers series for children, ages 9 – 14: Time Meddlers, Time Meddlers Undercover and Time Meddlers on the Nile, and her latest YA release, Mosaic. Articles about Deborah and reviews of her books have appeared in the Ottawa Citizen, MORE Magazine, RT BOOKclub Magazine, Canadian Teacher Magazine, SF Site, Neo-opsis Science Fiction Magazine and many more.